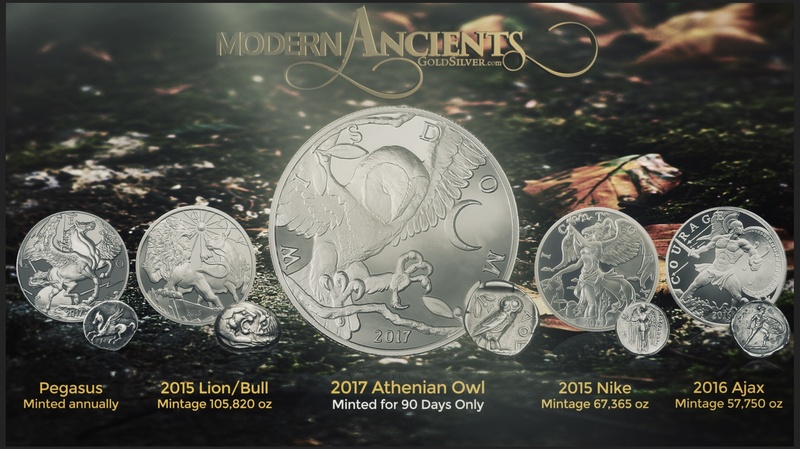 Watch Mike Maloney unveil the 10 oz Athenian Owl, our newest limited-mintage round in our popular Modern Ancients series. 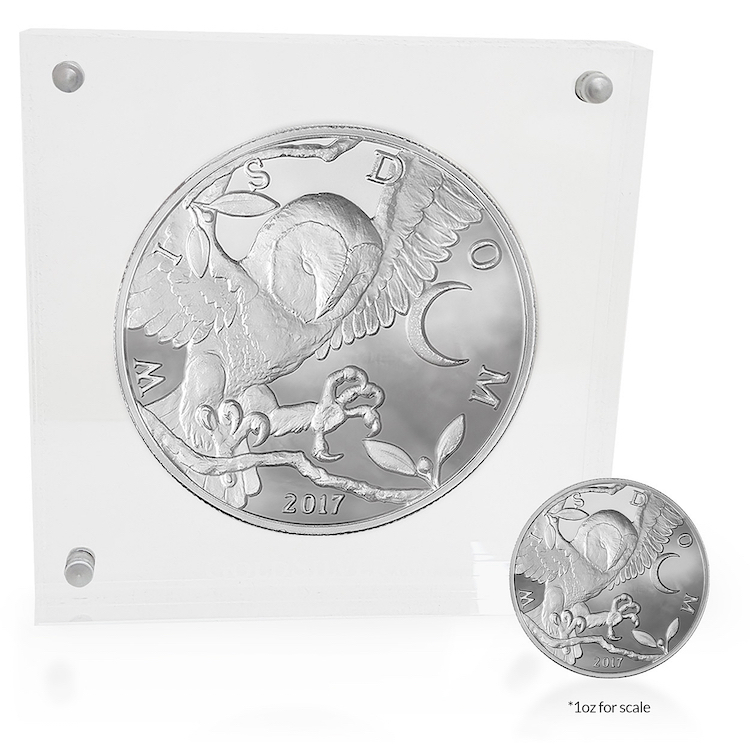 The 10 oz Owl is an impressive round that comes in an acrylic display case. Held together by strong magnets, our display cases are securely sealed and also easy to open for handling and admiring the round. Each 10 oz Owl comes in an elegant gift box (displayed below), ready for giving as a gift to a loved one or colleague. 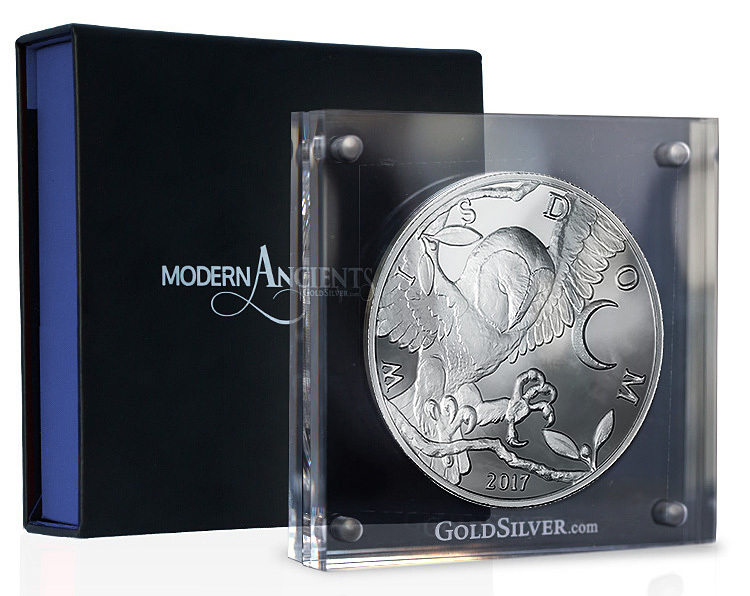 Many GoldSilver customers also get a 10 oz round for themselves and proudly display it in their offices or homes. Keep in mind, both the 1 oz Owl and 10 oz Owl will only be available for a limited time. On August 30, 2017, we're stopping production and we'll never mint these rounds again. Why do we limit the mintage of these rounds? And why is owning collectible silver a good idea? Jeff Clark explains it all in this article. Each 10 oz Owl has its own, individual serial number stamped on the back so collectors can instantly recognize its uniqueness. This is no ordinary silver round. Its large size and areas of mirror finish really catch the eye. You might find friends and visitors asking to take it out and hold it. Visit the 10 oz Athenian Owl page to get live pricing and learn more about the inspiration behind its ancient design. The beauty and limited availability make the Owl a highly-coveted silver round. These rounds are a true celebration of the prosperity of the great civilizations which used them. Modern Ancients are collectible silver rounds at bullion pricing.